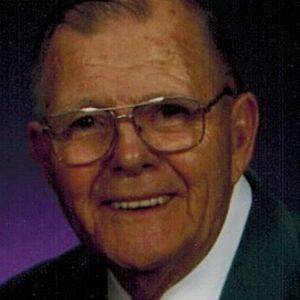 Frank "Gene" Milnes, age 84, of Prophetstown died Monday, November 5, 2012 at Prophets Riverview Nursing Home in Prophetstown. Frank was born March 16, 1928 in Morrison the son of Harold and Marion (Annan) Milnes. He married Jean Oncken on September 30, 1951 in Hopkins Township, IL. Frank was a manager at Rock River Lumber and Grain for many years. He served in the US Army National Guard for 21 years and was a member of the Prophetstown American Legion. Frank was a member of the First Lutheran Church in Prophetstown and was very active in the church and the choir. He also was a member of the Rock River Valley Barbershop Chorus in Rock Falls for over 50 years. Frank was also active in the Lions Club and enjoyed volunteering. Survivors include his wife Jean of Prophetstown, two daughters; Susan Schuettler of Las Vegas, NV, and Ann Deck of Prophetstown, and two grand children; Andrew and Jennifer Deck of Texas. Gathering of family and friends will be from 9:30-11:00 AM on Saturday at First Lutheran Church in Prophetstown. Memorial service will follow at 11:00 AM at the church with Reverend Greg Olsen officiating. Burial will be at Riverside Cemetery in Prophetstown.